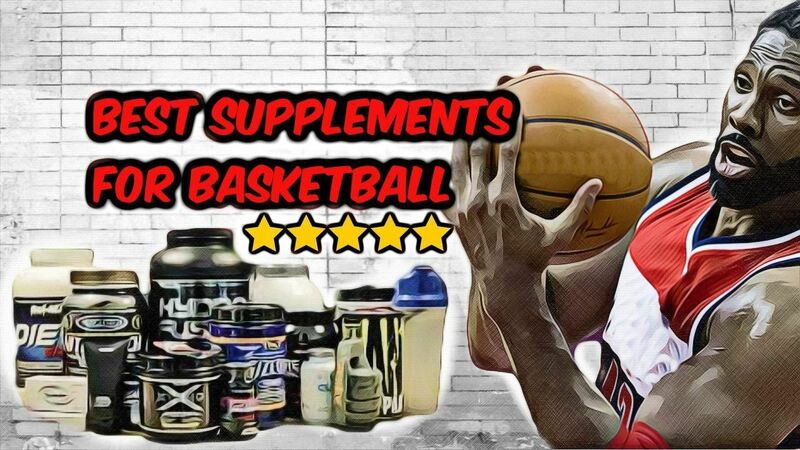 Nutrition for Basketball Players: What The Pro's Eat To Stay Lean & STRONG! 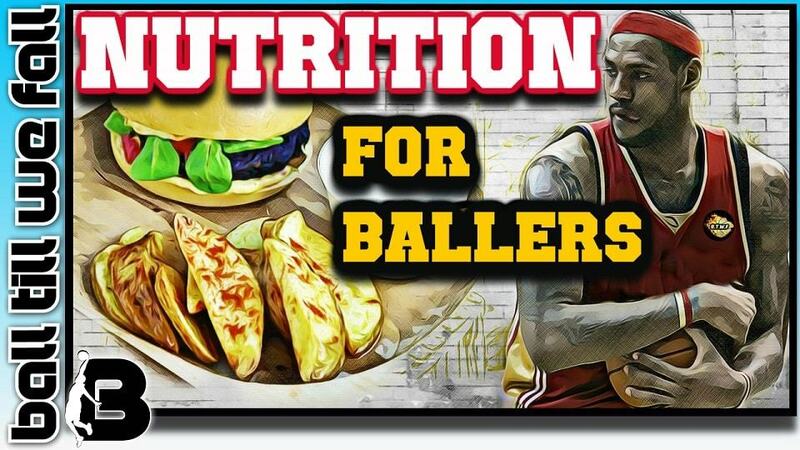 This work, "Nutrition For Basketball ", is a derivative of "L﻿e﻿﻿bron James" by Keith Allison & "Beautiful Picture Of Healthy Food" by Med Coolman, used under CC BY. "Nutrition For Basketball" is licensed under CC BY by BallTillWeFall.com. One thing you need to learn early on in your career is the importance of nutrition for basketball players. You’re spending countless hours in the gym training to improve and be better at your sport, but what if what you’re eating is reversing all your hard work. Yes, you’re putting in the time at the gym and in the weight-room training to become a stronger basketball player, but then you hit the drive through or gas station and all that hard work takes a hit. 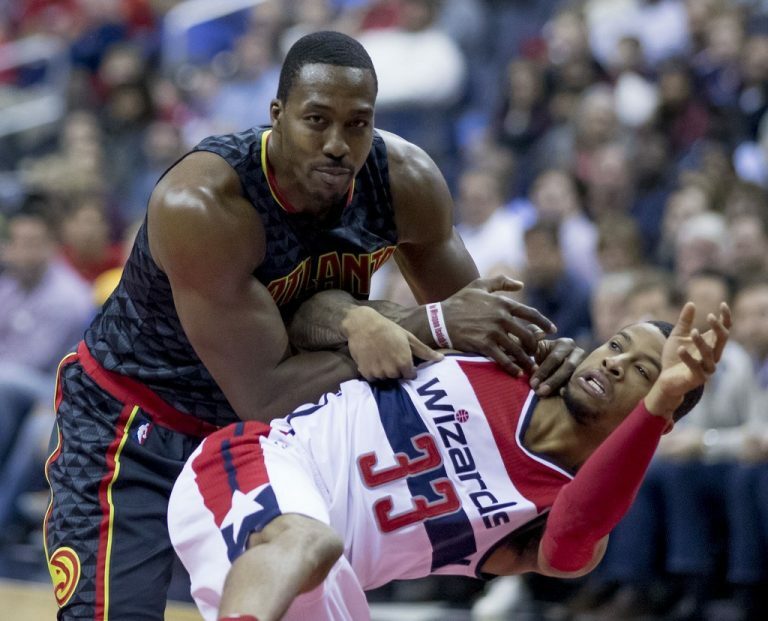 One professional basketball player that illustrates the difference proper nutrition can have on performance is Dwight Howard. You see DHoward has a love of sugar – he was eating two dozen chocolate bars every day! It was starting to impact his game on the court. He looked healthy on the outside, but on the inside he began to feel the negative side effects of his diet. Once he made the commitment to sacrifice his poor eating habits and changed up his diet, he started to feel the difference. 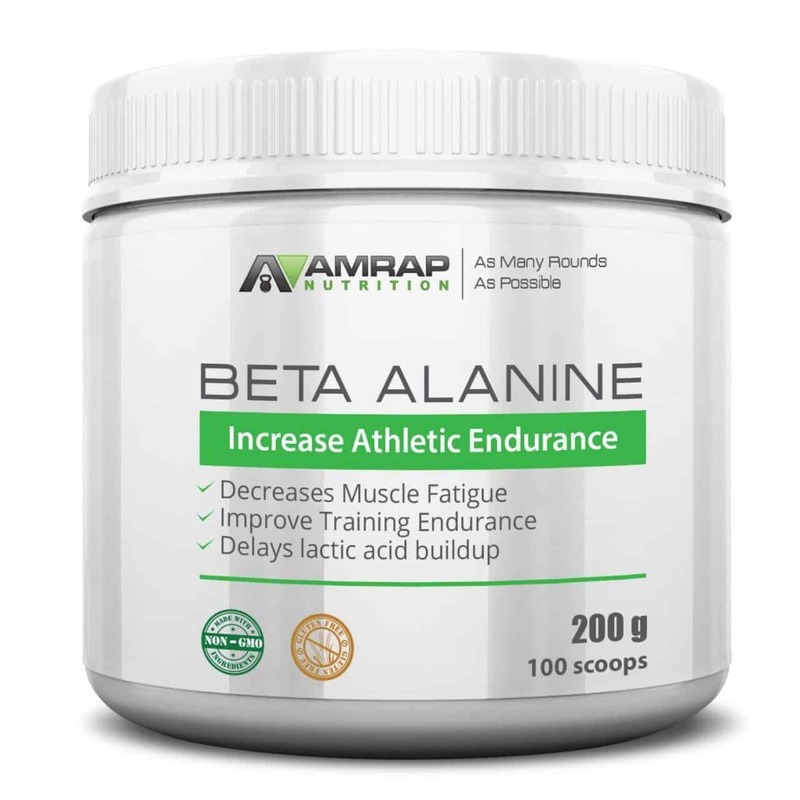 With better nutrition, his endurance improved and his energy levels became more consistent. It was also around this time that he packed on a heap of lean muscle, resulting in the impressive physique he maintains to this day. Don’t let bad nutrition choices bring your game down. Figure out what works for your body and have the accountability to be smart when it comes to the food you’re putting back into your body. We’re going to breakdown some tips to consider when you’re figuring out what to put on your plate and give you some ideas of what the pro basketball players eat before and after games. 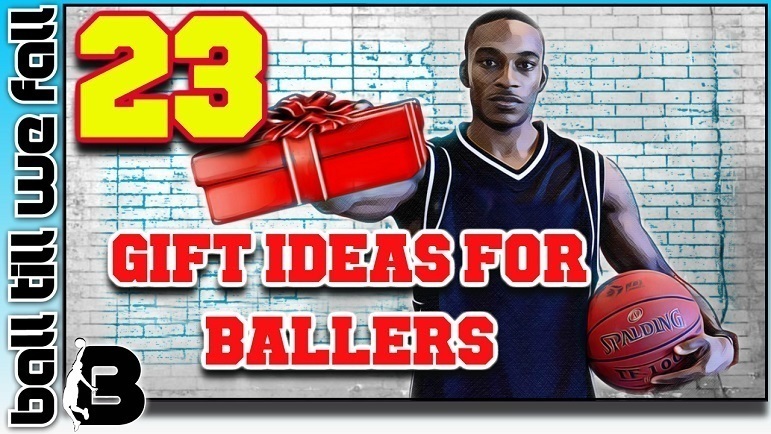 Wan't to see the TOP 5 Programs Ballers Are Using To Improve Their Game? Check out #1 on this list! Please assume that all links in this post contain affiliate links, which means BallTillWeFall.com earns a small commission if you decide to purchase products through these links. We hope this disclosure will demonstrate that we run an honest and reputable business. Nutrition is going to be different for every baller. Each player has a different body and different needs come along with that – some basketball players may need to lose weight, gain weight, or maintain weight. With that being said, you and your teammates may not be eating the same foods or portion sizes. Be aware of your needs and try not to compare it to others. You need to stay on your diet plan and be accountable of what has been laid out for you to follow. Check out the video below outlining how college student athletes are now provided with customized eating plans to help optimize in game performance. A Pre-Game Drink To Get Hyped! There’s a number of ways to figure out what food you need to consume to be at your best on the court. Some ballers may have access to a nutritionist or trainer that can break down a diet plan for them to follow. Most ballers don't have access to a personal chef and will have to figure it out for themselves. Don’t skip breakfast: After all breakfast is the most important meal of the day. Start the day with a solid breakfast and it will make the rest of your day easier to stay on track. Use a piece of fruits as a snack: We all get hungry between meals, but instead of grabbing that bag of chips start reaching for a piece of fruit. Find out which fruit you really enjoy and make it easy to grab and go as needed. This is a better option when it comes to snack time! Drink water: Skipping out on the right amount of water is a big no-no. Your body is burning a high number of calories every day and you need to be staying as hydrated as possible. Don’t fill your body up with sodas or other drinks such as Gatorade. If you get tired of water easily, consider trying green tea. Have you last meal before 7pm: Make sure you’re not eating too late into the night so that you’re body has plenty of time to process those foods before bed. You don’t want to go to bed with a full stomach. Know what to avoid putting in your body: There’s a lot of delicious food and drinks out there that can have a negative impact on your body. We’ve mentioned some of them already but there’s three major ones that stand out. Sugary foods, fast food and candy! When it comes to nutrition for basketball players, it's the little things that can make a positive impact on you both on and off the court. They don’t have to be big changes – if it works better for you start making the changes slowly until finally you’re hitting all five. The best thing to do is figure out what works for you because everyone is different, especially when it comes to changing their diet. Many of the NBA's elite players have been known to opt in to a paleo style diet in order to get shredded. Basically, the Paleo diet is a low-carb, sugar free, higher healthy fat diet. It simulates what our caveman ancestors ate back in the Paleo era. This diet is particularly helpful in the off-season where body composition can be adjusted without the need to ensure optimal on court performance. You see, diets such as Paleo tend to restrict carbohydrates which can sometimes lead to diminished performance in the initial stages of the diet until the body adapts. One major benefit of this carb restriciton is enhanced fat loss. It has also been well documented that the paleo diet can reduce inflammation. Low inflammation foods can help reduce muscle and joint soreness allowing a basketball player to train harder for longer and recover quicker. This is a major draw for older athletes such as Carmello Anthony and Lebron James who want to extend their careers for as long as possible. Like I’ve said, different players follow different diet plans, but we’re going to breakdown and give you a general idea of what is great for a basketball player to eat before and after a game to ensure they remain healthy and strong all-season long. Preparing for your game starts as soon as you wake up. We talked about it before but breakfast is the most important part of your day. Keep it simple – if you have plenty of time opt for oatmeal, omelet, and a glass of OJ, but if you’re running short on time go with something quick but still smart like a bagel, fruit, and yogurt. About 2-3 hours before tip-off is when your pregame meal should be eaten so it has enough time to start digesting. Most players are different when it comes to what they want to eat before a game – and how much they want to eat. For a player like Kawhi Leonard he doesn’t like playing on a full stomach so his pregame meal may be smaller than other players. When you’re trying to figure out what you want to eat be sure to include protein and carbohydrates. These are two things you need to eat as they are vital to muscle performance. 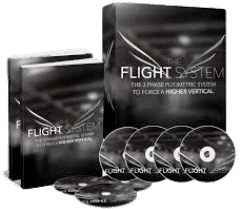 Of course you can also take the popular yet controversial Ketogenic approach to diet if rapid fat loss is your main priority. Pasta dishes with a side of grilled protein and veggies are a great pregame meal for most ballers. The video below is not made specifically for ballers however it does give great insight into what a basketball player should eat before a game. You may get hungry in between meals so it’s good to have snack options available. Even as you’re eating a snack you want to stay focus on your diet plan and make sure the snack you’re putting into your body is smart. One major snack trend in the NBA is peanut butter and jelly sandwiches. Every team has their own ways to create this simple sandwich, but it’s a staple in most locker rooms. It’s a quick and easy snack to make if you’re on the go. And if you really want to eat like the pros then a PB&J is the way to go! All of these snacks provide great options, but remember not to overeat when it comes to snack time. You don’t want your snacks to become your main meals so keep the portions light and don’t overdo it otherwise you could mess up your body’s routine. After your game is over, you need to refuel your body again! So what should a basketball player eat after a game? A great post game meal should include again a mix of carbs and protein which both help your body recover faster. Re-hydrating is just as important as eating so water needs to be a part of anyone’s postgame meal. Ideally, you want to be eating within an hour after your game. As you can see, ballers can keep a pretty simple diet with just focusing on simple foods and avoiding fast food option. They get their colorful plate by having those veggies along with some kind of grilled meat and carb or starch such as pasta or rice. This is a very balanced plate and great fuel for their body. As a baller you’ll play a lot of minutes night in and night out so eating the right thing before and after the game is crucial to your preparation and recovery. Whey protein is a handy supplement used by many pro basketball players to ensure that optimal protein requirements are met day in, day out. Protein keeps you strong and helps you heal. It is a vital macronutrient for basketball players. What Do Pro Basketball Players Eat? We have already covered what Lebron james eat's to stay lean all year round. Here are a couple of great videos that give a little more insight into the dietary habits of the King and other pro athletes. To sum everything up, as a baller you need to be constantly refueling your body. You’re burning a lot of calories and energy on a daily basis and the only way to take care of your body is to be putting the right things back into it. If you can learn this at a younger age then there’s no telling how much extra time you can be putting on your basketball career. If you think about it in those terms – eating right adds longevity to the game you love – then it should be easy to commit and sacrifice to eating right. It doesn’t mean you can’t have a cheat meal whenever you want, but to be accountable and strive to eat the best way possible. 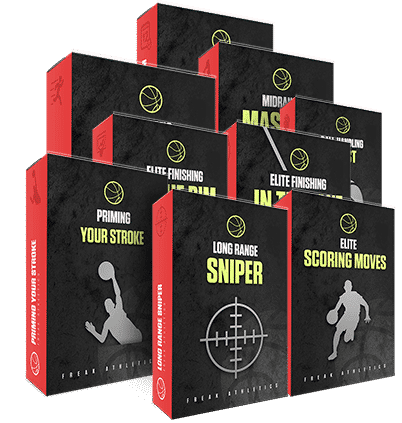 After you’ve been filling your body up with the right things you’ll begin to notice the impact and see the results it has on your game, your body, and your energy level – and it will make it even easier then. 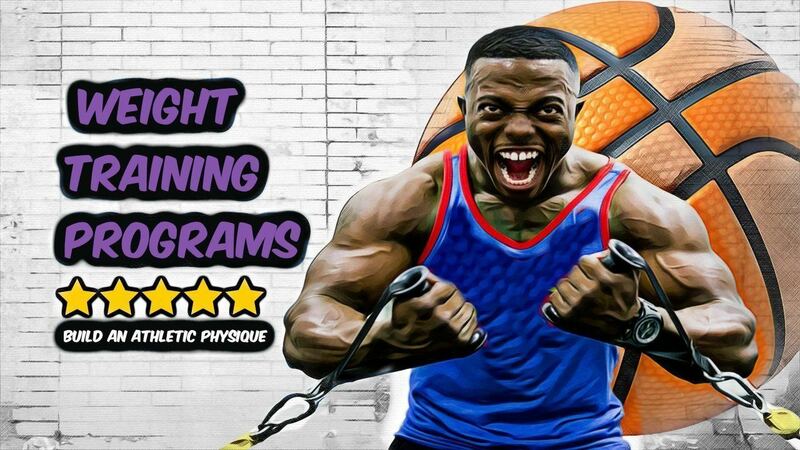 You can check out some more cool NBA nutrition for basketball tips here.